Widdop, P., King, N., Parnell, D., Cutts, D., & Millward, P. (2017). 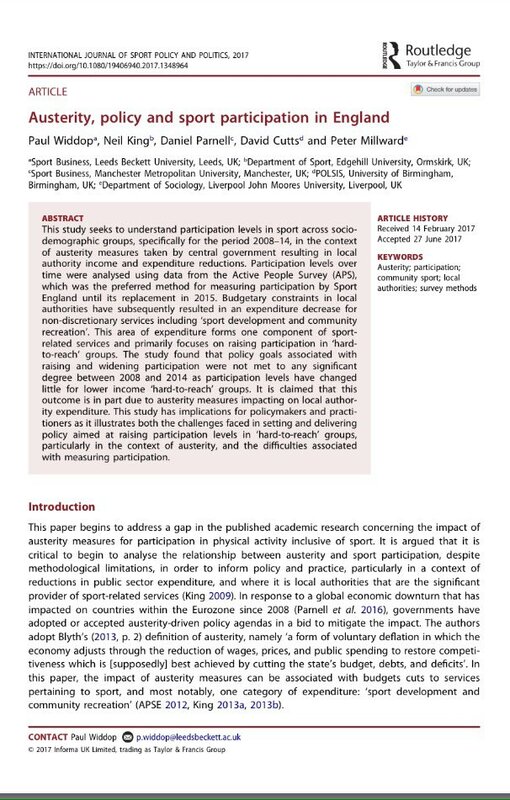 Austerity, policy and sport participation in England. International Journal of Sport Policy and Politics. Online. Open access found on the above embedded link. Article also found in the journal here.